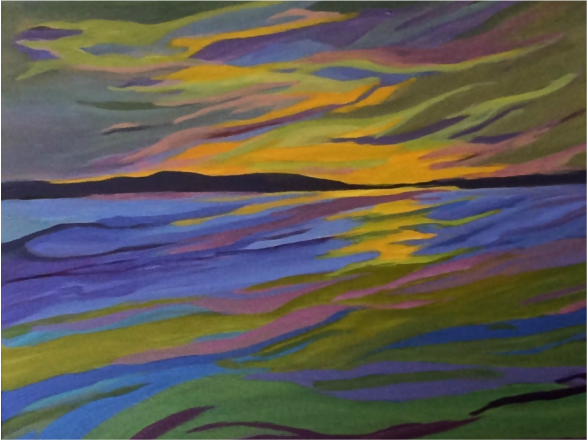 This on-line exhibition of my current work delves into finding the spirit in one's natural surroundings - through line, colour and brushstroke - this is an expression of natural energy , mood and connection to Canada's landscape. Enjoy. Sold at the Seymour Art Gallery's annual fundraiser exhibition. Happy to meet its buyers and see the work in its new home. Thanks for supporting the Seymour Art Gallery.